Insight Brewing Maestro Ilan Klages-Mundt took a few minutes out of his busy schedule to answer our questions about his background, brewing, and the forthcoming Insight Brewing Company. In 2007, I traveled to Denmark with a list of the top 50 beers in the world. I walked into a bottle shop and asked the owner if they had #7 on the list, which was a Danish beer. The owner replied, “no,” but did mention that they had the #1 on the list, which was the Westvleteren 12, a Belgian Monastic brew. Having tried nothing like this in my life, before, I purchased two bottles and left. Later that day, I opened one of the bottles and had a true epiphany moment. The beer was out-of-this-world good, with complex, yet amazingly balanced characteristics! The sun seemed to start shining and my lip began to quiver. The beer really was that good! From that moment onward, I knew that my calling was beer. I thought to myself, “Ilan, you MUST learn how beer is made, who makes it, where it came from, and what the history of this magical drink is!” Upon my return to the States, I hunkered down and began reading every brewing book I could get my hands on, while also joining a local brewing club, where I was by far the youngest member. This was the beginning of my brewing adventure, and the more learned, the deeper in love I became with the significance of beer and its cultures from around the world. What is your “go to” commercially available beer? It all depends on the situation, but I will readily grab Bell’s Kalamazoo Stout, Rodenbach Grand Cru, and Summit’s Saga IPA. I could list another several hundred more, but so could everyone else. There are a lot of great beers out there! You pretty much traveled the globe brewing, biking, and documenting it on bikeforbeer.org. How big a role did it play in your decision to open a brewery? My brewing began in college, where I was studying classical music and preparing to be a teacher. My professors saw the passion that I had for beer, and nearly forced me to apply for the Thomas J. Watson Fellowship, a program that pays for recent graduates to travel around the world for a year studying what they are passionate about; the only rules were that you had to be passionate, as well as out of the country for a full year on your own. With $3,400 in my pocket and no plane ticket home, I took off on this journey on my own. To a degree, I felt liberated, because I had no one to satisfy but myself. I left with the full intent of learning as much as possible about the world of beer and bring this knowledge home to share with others by opening a brewery, so in short, I knew I was going to open a brewery before I even left. Who had the most influence on your brewing and why? In my early brewing career, I learned a great deal from the members of the Appleton Libation Enthusiasts (ALE Club), as the group was chock full of phenomenal brewers. Since I was an early brewer at this point, I learned the importance of balance when creating any style of beer, whether it was a Bohemian Pilsner or an Imperial Stout. You can always have bold flavors, but making sure there is balance was always a key. The other great influence for me was Fuller’s Brewery in England. While working at the brewery in 2010, I was taught the true importance of balance and simplicity. Fuller’s taught me that in general, a simple recipe will keep a beer from feeling cluttered, and allow the complexities of each ingredient to shine through to the final product. This has probably been the single most important piece of knowledge that I gained from my travels, and I utilize it in each and every recipe that I have. What is your favorite part of the brewing process? I think that is a trick question, because I assume you expect me to say “Drinking the final product.” While drinking the beer is always fun, my absolute favorite part of the process is sharing stories of the beer with others. While making great beer can certainly be about the beer, the culture is more about the stories and getting people together. When I get to enjoy a beer with friends, or while meeting new people, I truly don’t think it gets much better than that. I was able to sample some of your homebrew. You have some great beer. 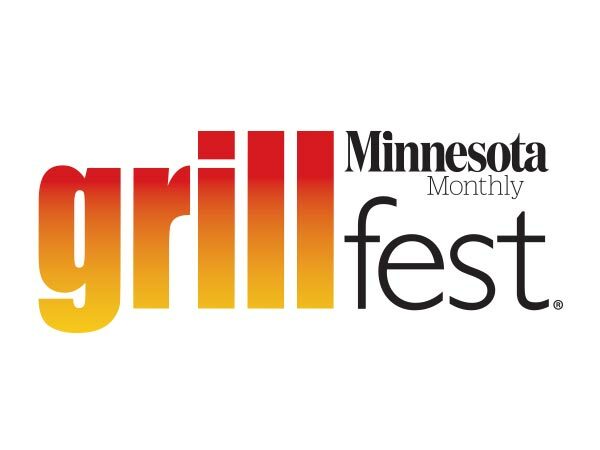 What recipe do you think will most excite Minnesota beer consumers? That is a really hard question to answer, as Minnesotans are always willing to try something new. It’s also like asking me which child of mine I think my relatives will like the most. People may like our traditional English Ales, or they may go for some of our Americanized beers, but if I were a betting guy, I would think that we will certainly drum some excitement with our Yuzu Pale Ale and our Saison de Blanc. The Yuzu is a Japanese citrus fruit with distinct flavors of mandarin orange and grapefruit, which blends perfectly with the citrus hops of the pale ale. As for the Saison de Blanc, this is a Belgian-Style Saison that is blended with Sauvignon Wine Grapes from California, which creates a very unique blend between the fruity and spiciness of the Saison with the earthy and grassy characters of the grapes. I find that the blend is reminiscent of fine champagne, while not leaving the beer category. You are a co-founder of Insight Brewing, who makes up the rest of the team? Brian Berge is our Master Marketer and Branding Brilliance. His background stems from working at Hasbro Board Games, ConAgra Snack Foods, 3M Consumer Healthcare, and most recently Cargill Horizon Grain Milling. Brian brings with him a business background as well as an appetite for great beer, so he will be in charge of the brewery’s marketing. Kevin Hilliard is going to be our Sales guy, and I don’t think you will find a more enthusiastic person in Minnesota if you tried. Kevin has also been brewing at home for the past several years, so he is a natural fit for the position. Having been in sales for 20 years also seems to do the trick! Eric Schmidt is another home brewer that is leaving his current job to follow his passion. Eric’s background is in finance and business development, so he will be running our supply chain at the brewery, but will also be joining Kevin in sales. What I like best about our team is that we each have different areas of expertise, which is vital when opening any business. In terms of us being a brewery, we are also all passionate about beer and brewing, which makes me think that we have the best possible team to bring Insight to life. 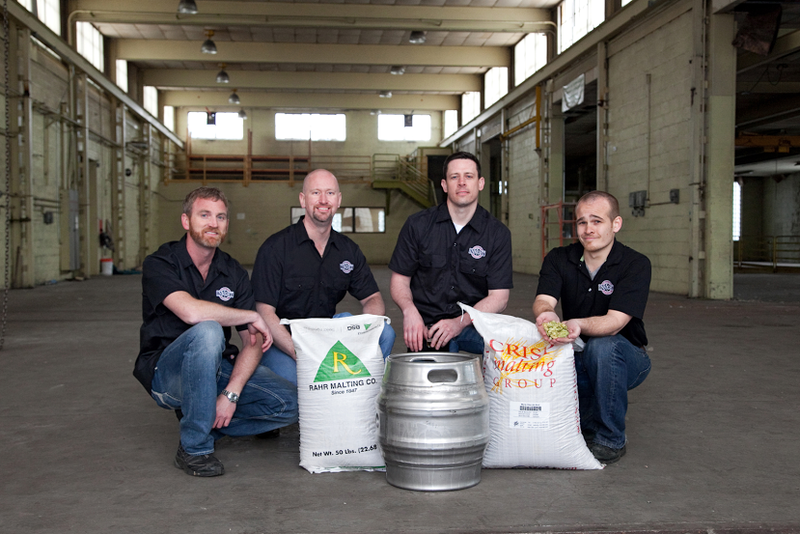 In order from left to right, the Insight Brewing founders are Kevin Hilliard, Brian Berge, Eric Schmidt, Ilan Klages-Mundt. What does the name “Insight” mean? Having brewed with some of the great breweries that this world has to offer, I feel like I am standing on the shoulders of giants. The name Insight Brewing literally means an insight to the world of beer, one that we are happily willing to share with others. 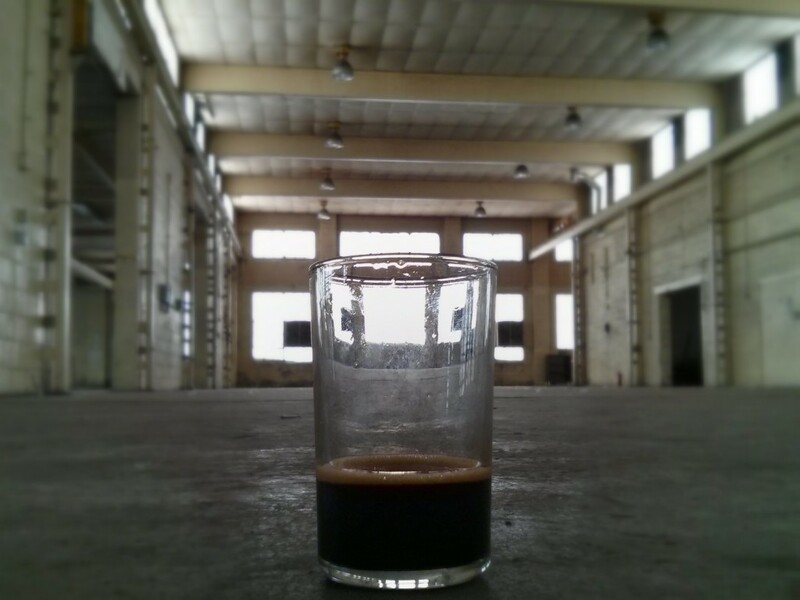 What has been the most difficult part of opening a brewery so far? Naysayers. Whenever someone tries to do something big, 90% of people will either have negative feedback, or will say that it can’t be done. I’ve learned that listening to these people will get you nowhere, and that everyone should follow their passion. Having said that, Insight is now the largest startup brewery in the State of Minnesota, and I can’t help but be incredibly proud of everyone that I am working with that has helped bring this brewery to life. What made you decide to open a brewery instead of a brewpub? I like the idea of both breweries and brewpubs, but with Insight, we are really excited to make some traditional, as well as very creative beers. With a brewery, the drinking experience is more versatile, as the beer can be consumed almost anywhere, while a brewpub must sell its beer on premise in pints or growlers. If Minnesota were to change the laws to allow brewpubs to distribute their product, I would likely jump at the chance of having a food offering, as I am a big advocate of beer and food pairings. You took me on a tour of the facility a few days ago, the size is very impressive. How will that play to your favor? We have done a great deal of research into how other breweries in the area, as well as around the country are faring right now, and in almost every case, we found that start-ups are running out of room faster than they can expand, and the main limiting factor is space. We decided early on that we didn’t want to hit that same wall, so we scouted out several locations before finding the gem that we did! With our current building, we have 19,200 square feet, which means we won’t be going anywhere for some time! Our building simply screams, “Brewery!” We are all very excited to now begin renovations to bring this space to life, and are even more excited to start bringing in everyone else this fall. It seems every new brewer sets up shop in NE Mpls. Was it a conscious decision to exist outside that area? While we may have been able to stay in NE, we thought that the “brewing district” could be expanded outward, as it inevitably would. While we are still very close to the NE area, we are going to be part of a whole new brew district, with neighbors such as Northgate, Urban Growler, Bang Brewing, Burning Brothers, and the new Surly plant. When we spoke the other day you mentioned a sort of buy-in option or kickstarter styled program the brewery would be doing. How will that work? Yes, we are going to run something called The Passport Club, where anyone from the public will be able to pre-purchase beer in our taproom at a huge discount! The cost of joining The Passport Club will start at $1,000, and this will get you a tab in our taproom for $4,000, essentially a 1:4 ratio. A few other breweries have done similar programs before, but what makes ours different is that the beer isn’t just for you. As a Passport Holder, you can use your taproom tab to pay for beers for anyone you want to bring in with you, whether it be friends, family, or coworkers. Think about it as quickly becoming everyone’s favorite friend in a real hurry. For details about becoming a Passport Holder, visit our website at www.insightbrewing.com, or e-mail us at info@insightbrewing.com. We are limiting our program to 100 memberships, so you will have to act fast! What is the one thing you want people to know about Insight Brewing? We are here to share our experiences and our passions with others. 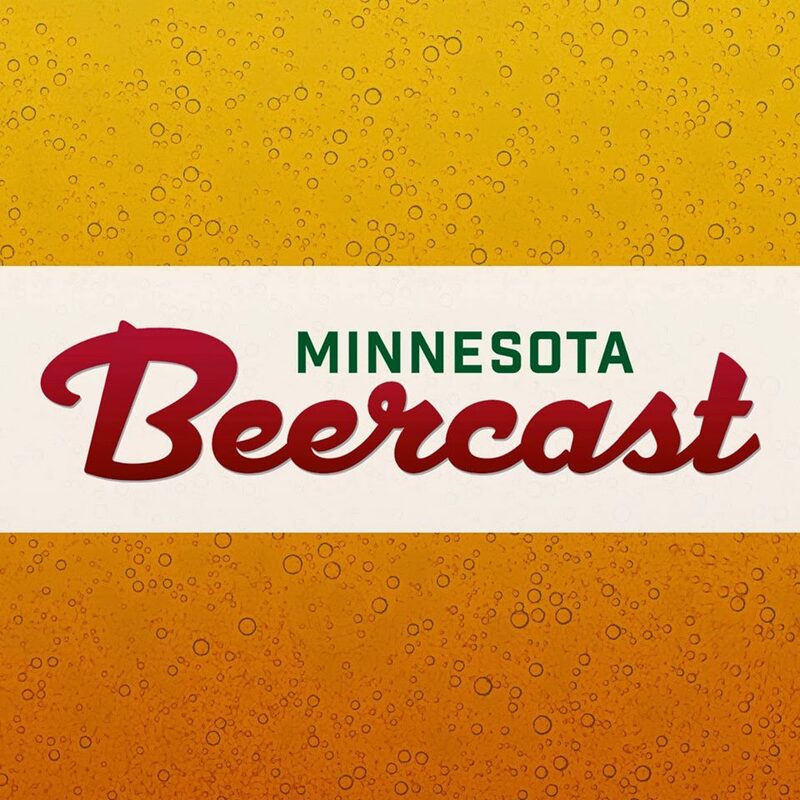 By introducing both traditional and unique beers to the Twin Cities market, we look forward to sharing in the excitement of this movement with everyone else that is interested, and perhaps even get a few people interested that may not know what craft beer is all about. When can we expect to see the first shipment of beer come out of the brewery? We are expecting to open Fall of 2014. We have got a very exciting Grand Opening in the planning, but we’re not quite ready to reveal that secret quite yet. All I can say is that our Grand Opening will be a memorable one!